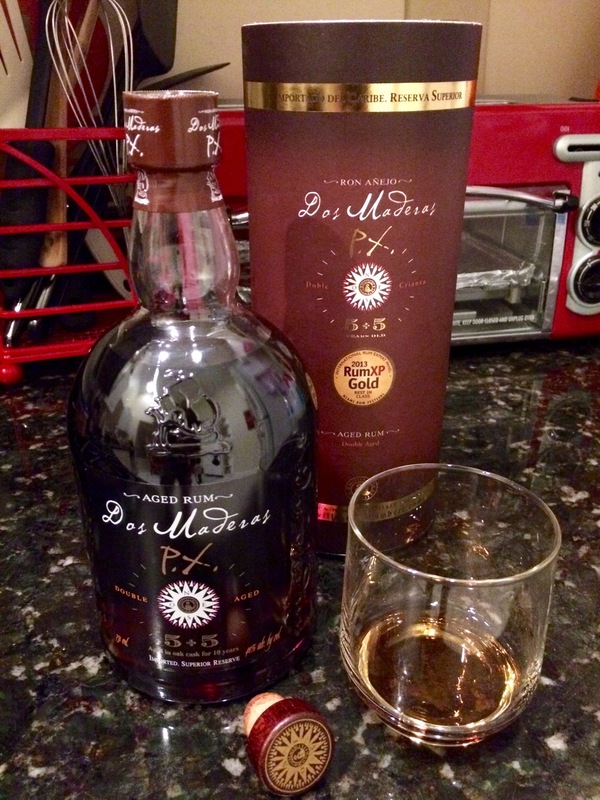 I love the story of this rum. 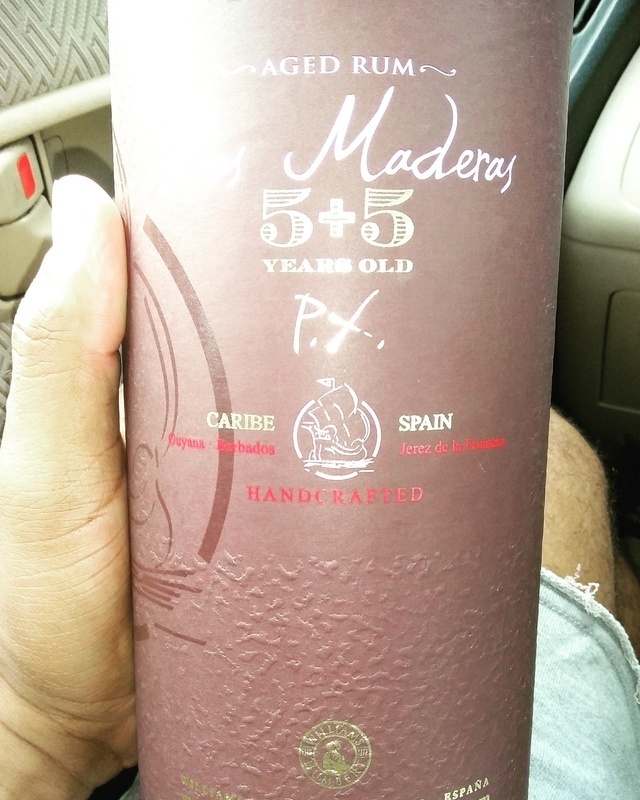 The name, "Dos Maderas" is Spanish for "Two Woods" because the rum is aged it two different types of barrels. 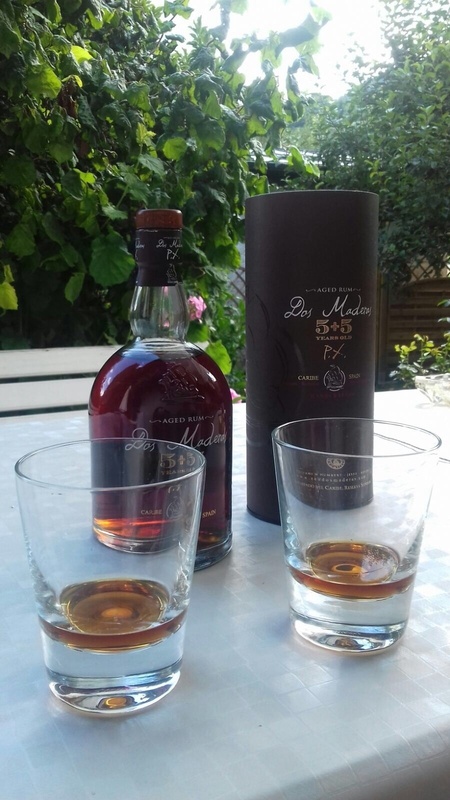 It is first aged in oak barrels in the Caribean for 5 years, then shipped to Spain and transferred to sherry casks for further aging. 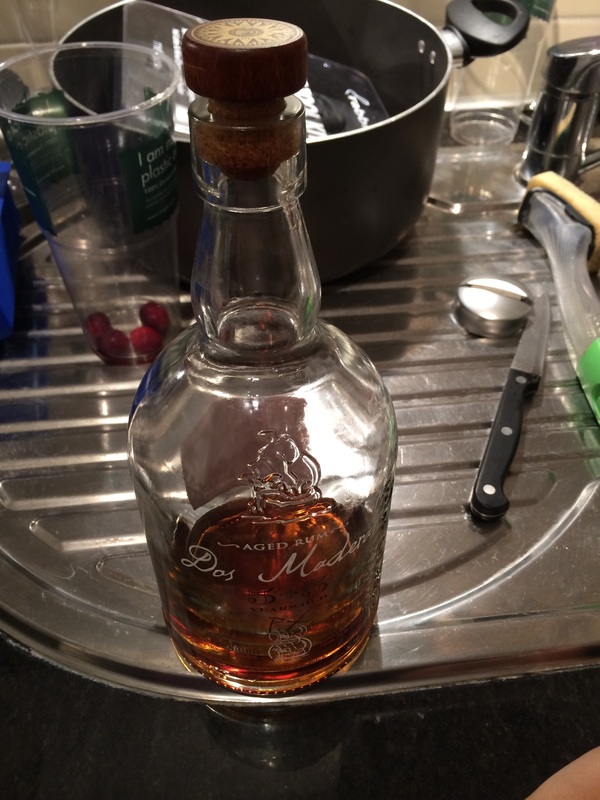 The resulting rum could be characterized as sweet with a lot of sherry and oak coming together with the rum. 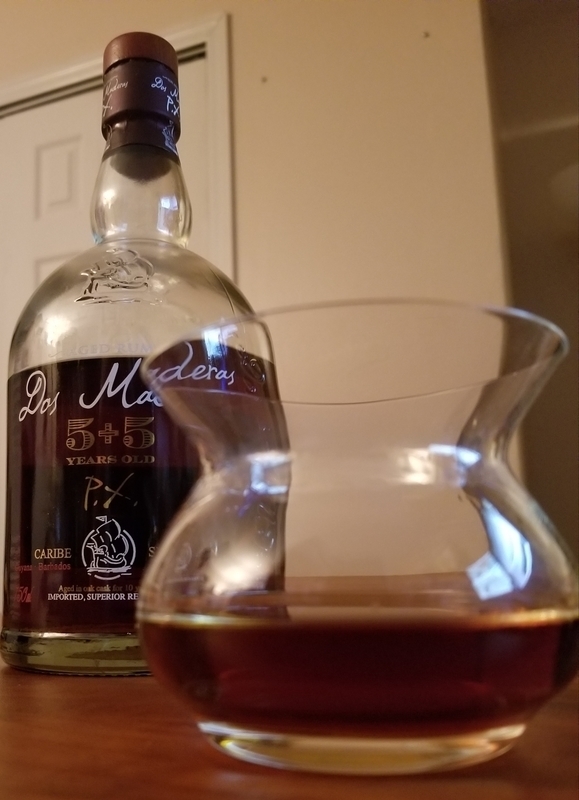 I first poured it neat. It has a rich coffee color and a slightly oily surface. It smells of chocolate and honey with just a little burn in the nose. The fist sip surrounds the tongue with a rich sweetness and a little pepper in the back of the throat. It warms the chest as it goes down, like a warm brandy. I then added an ice cube, but it didn't need it. It may go down a bit faster this way, but in the future the only thing I will pair with this rum is a good cigar and/or good company.